Guided walking holidays, hill and mountain skills in the Derbyshire Peak District, Mountains of Spain and beyond! 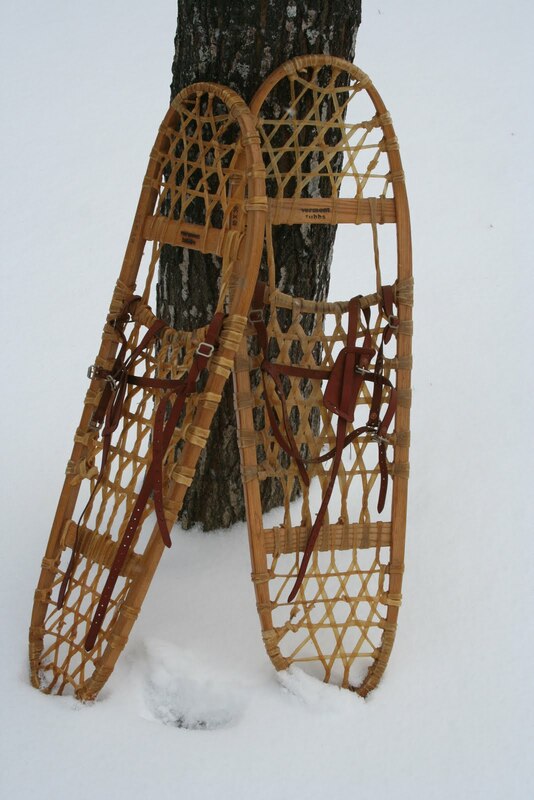 There is evidence that pre-historic man developed a form of snowshoe by tying bits of wood onto his feet to enable him to continue moving when snow covered the ground. For these subsistence hunter gatherers this was vital to ensure their survival. These early people migrated over the years, east out of Asia and into what is now North America. The tribes who live in North America developed the snow shoe even further into what we would now recognize as the traditional snowshoe. Two main styles emerged, the “bear paw” and the “beaver tail” as forerunners to today’s recreational snow shoe. 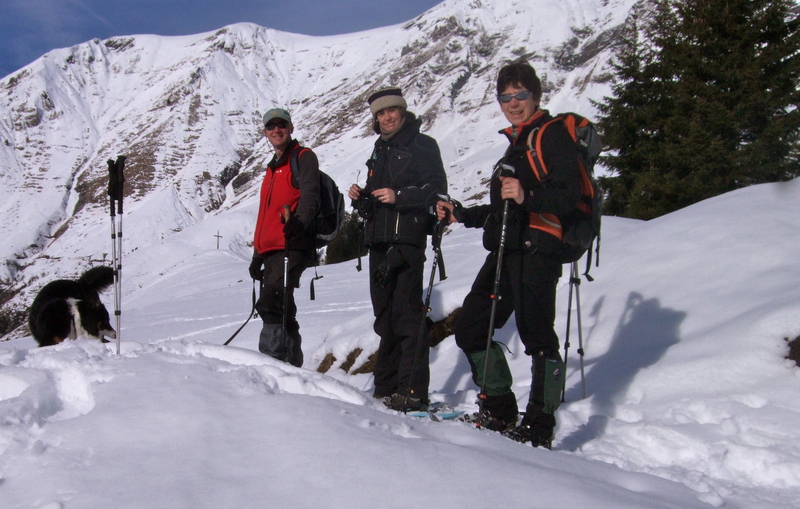 Today recreational snowshoeing enables hill walkers to enjoy the winter wonderland of un-spoilt alpine hillsides, forests and slopes away from the crowds and pylons of the ski resorts. All that is needed is a little fitness and the ability to navigate and look after yourself in a winter alpine context (or join a guided party). Although the classic traditional style snowshoe can still be obtained, certainly in a European context most people now use modern designs of snowshoe usually made out of tough plastic. The base of these usually have some form of spikes or crampon to bite into ice, where the bindings that hold the boots snug are articulated at the toe to enable easier walking, especially up hill. Most have heel risers making steeper hill climbing easier. 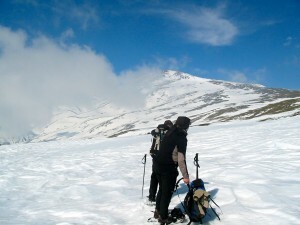 Walking in deep snow is tiring even impossible without snowshoes. However using snowshoes is a little more strenuous than walking up the same slope without snow and snowshoes. 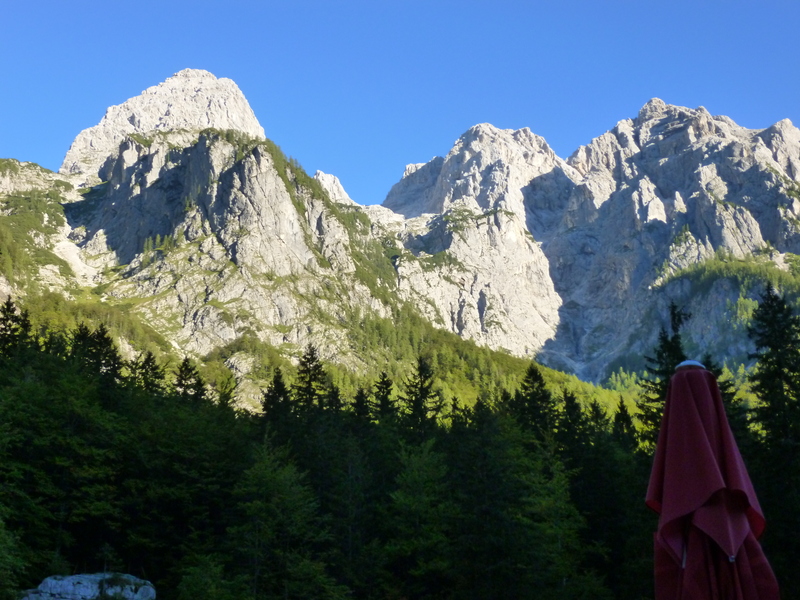 Walking with us on a Mountain House Holiday, we plan our days and routes to ensure maximum pleasure. It doesn’t matter that we are off path winding our way through the forest as all the paths are covered in snow, sometimes to a depth of 2m. What is important is that we go to beautiful places with great views that would not otherwise be possible without walking on snowshoes. Our normal day’s walking would be from around 10am until 3.30pm. Anyone used to walking regularly would cope with it physically. Probably the best way to get a flavour of snowshoeing is to go with an organised group or holiday. The only people qualified to lead you in Europe’s mountains are qualified guides, either International Mountain Leaders or IFMGA Mountain Guides. Guides are trained to look after you in the cold, navigate in snow and poor visibility, are aware of potential avalanche dangers and importantly, know the best routes in the area where they operate. Mountain House Holidays will be running snowshoeing holidays and day walks in Spain’s Sierra Nevada Mountains during February 2014. Hotel based, though with the option of spending a night or two in a Mountain Refuge, prices without flights are £745 for a 7 night holiday. This includes a full board package, meeting you at Malaga Airport, 6 days of guided snowshoeing, and returning you back to Malaga Airport at the end of your holiday. Further details can be viewed on the Mountain House Holidays Website. Mike and Jane who run Mountain House Holidays are both qualified International Mountain Leaders. 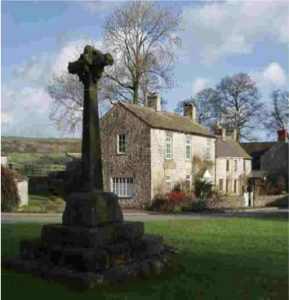 A book of 12 easy to moderate walks all starting from the beautiful village of Foolow. Foolow is an ideal place to start and finish a walk, with it’s picturesque village green and duck pond, and friendly pub serving great food. The geography and geology around the village makes it particularly varied and interesting as the junction of the limestone and gritstone is only a few hundred yards from the village. from the Bulls Head Pub in Foolow or contact us to order a copy by post.